Scheda: Nazione: USA - Produzione: Sector 5 Films - Distribuzione: Reality Entertainment - Produttore eecutivo: Warren Croyle - Formato: Color - Durata: 210'. Plot Summary, Synopsis, Review: IMDb - allmovie.com - videoeta.com - familyvideo.com - barnesandnoble.com - amazon.com - : «Within every religion there lurks an underground network controlling and manipulating those in power. Great knowledge was fostered and hidden by these groups. Wars and revolutions were carefully planned and orchestrated by a Universal Brotherhood. The knowledge and power of these people would be deemed sacred and protected. Whether it was practical methods of survival such as navigation and measurement or inner psychological and spiritual wisdom, it would become the foundation for secret societies the world over. Find out more in this comprehensive multi-feature DVD. 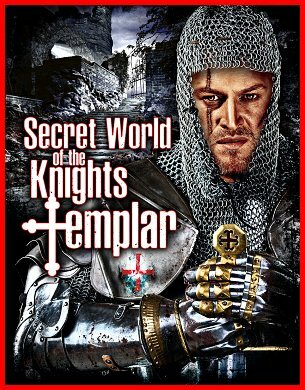 Templars: The True Conspiracy: Who runs the world? Is there a shadow world of powerful and elite men pulling the strings of our global society? If so, when did it originate and why? What were the Templars, Assassins, Druids, Augurs, Sufis and many more really planning for all of mankind? Bloodline of Jesus Christ: Consultant to Dan Brown's ''The Da Vinci Code,'' Dr. Tim Wallace-Murphy talks about the true bloodline of Jesus Christ and Mary Magdalene, the Secret Brotherhoods, the Knights Templar, the Cathars, and the Sufis in addition to revealing spiritual truths held sacred for centuries. Mystery of Mary Magdalene: Journey to England and uncover a tale so mysterious it boggles the mind. Experts track down unknown texts, journey on a treasure hunt across Lincoln County and discover the final resting place of Mary Magdalene».